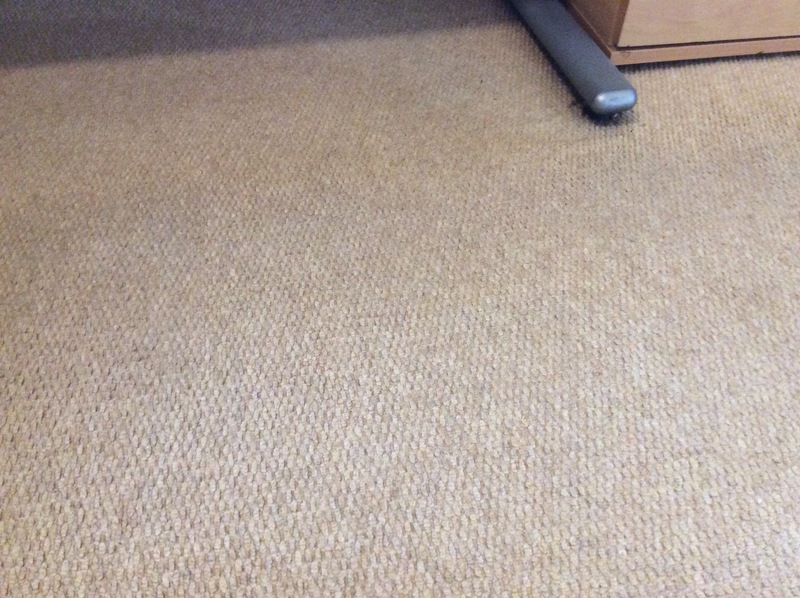 Cleaning a landing carpet in student accommodation. 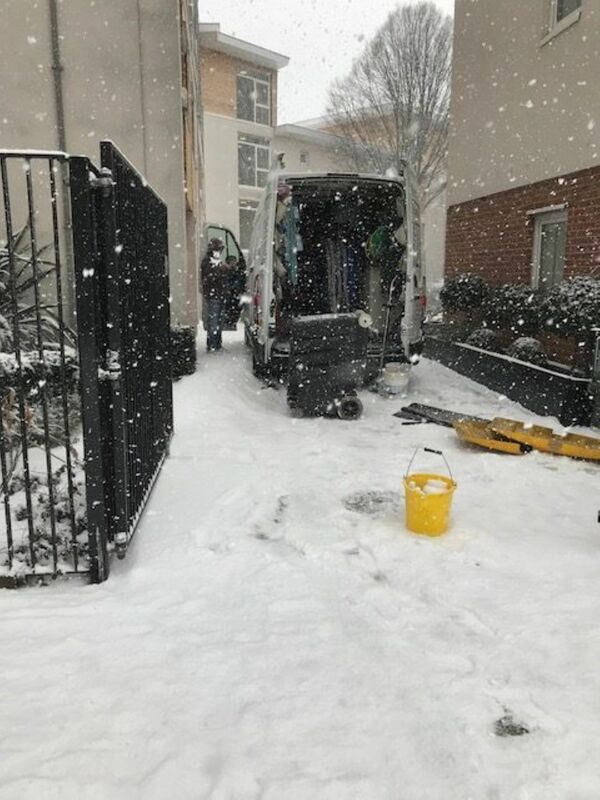 “Working in the snow”, we are committed to our clients. 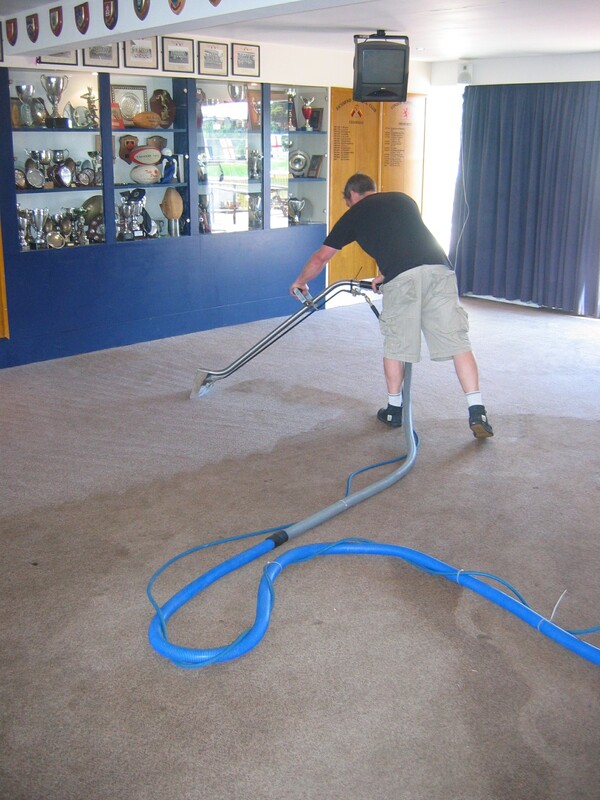 Cleaning carpet to a club bar area. 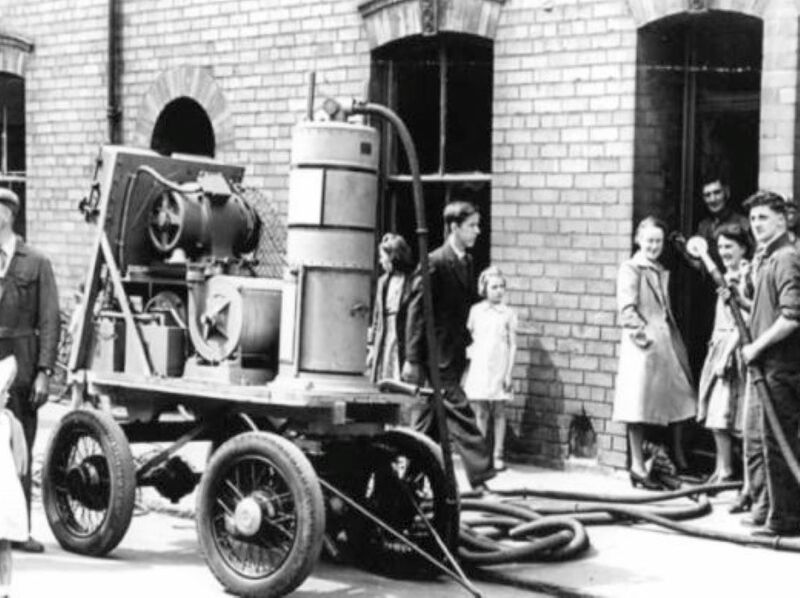 Was this the first ever truck mounted carpet cleaning machine? 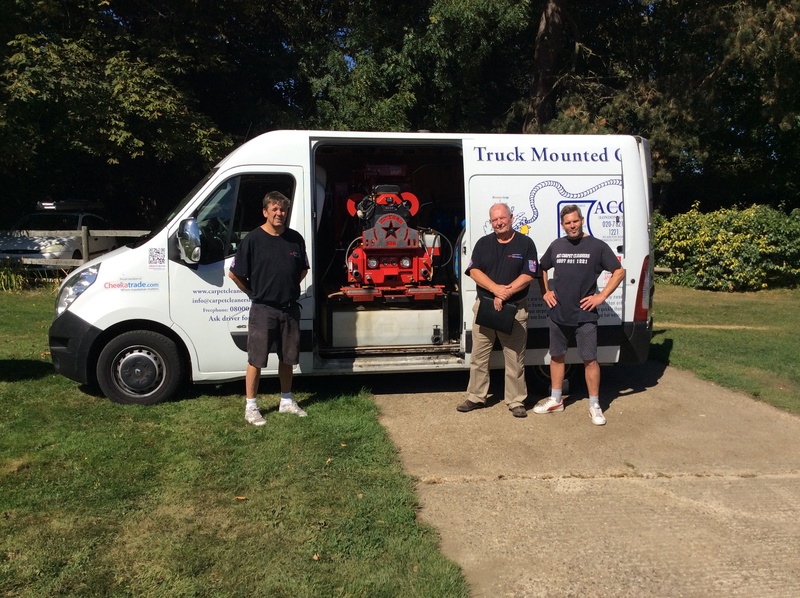 This is definitely the latest truck mounted carpet cleaning machine! 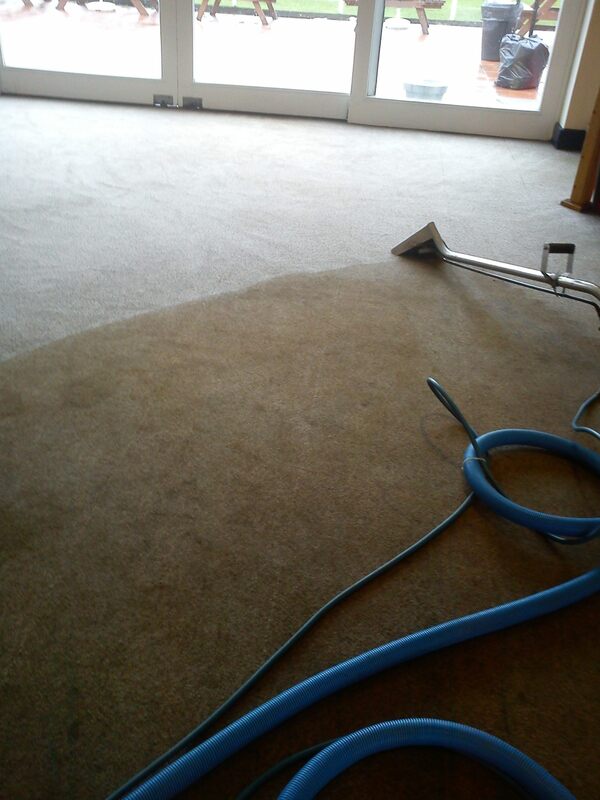 Cleaning carpet to a 4th floor apartment. 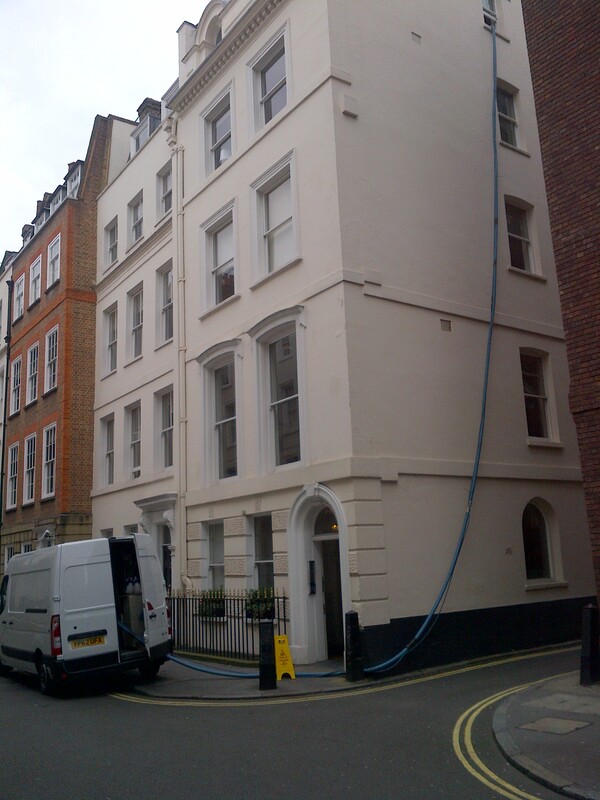 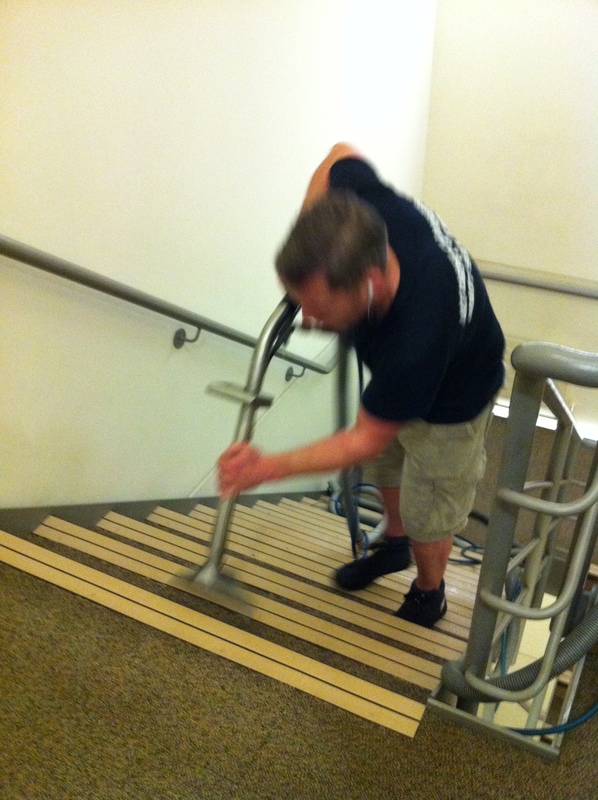 Cleaning communal stairs carpet using truck mounted machine which brings its own pre-softened hot water and power source. 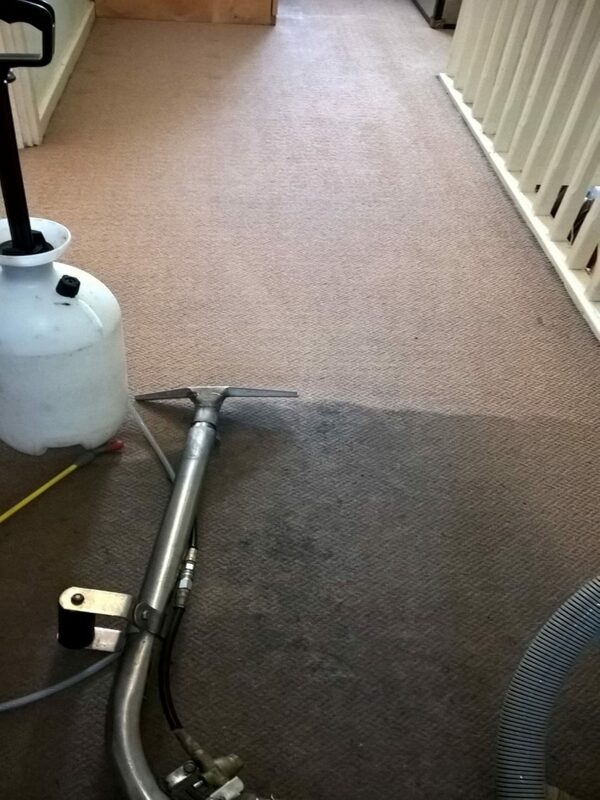 Pre-spraying carpet tiles to loosen the dirt before steam cleaning. 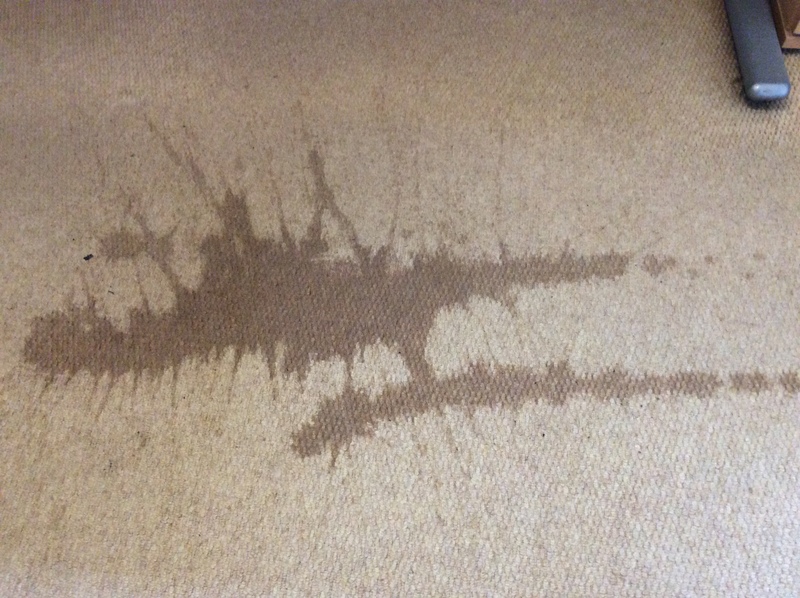 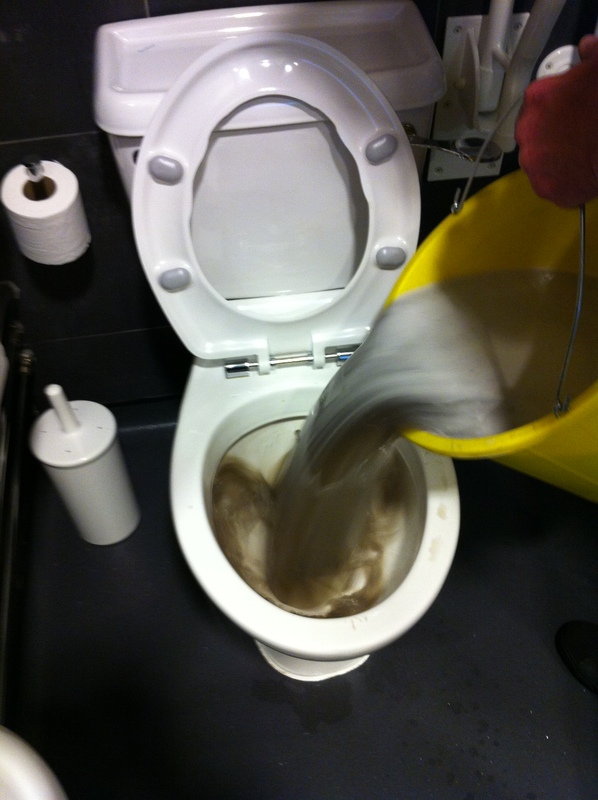 Typical example of waste water extracted from a dirty carpet. 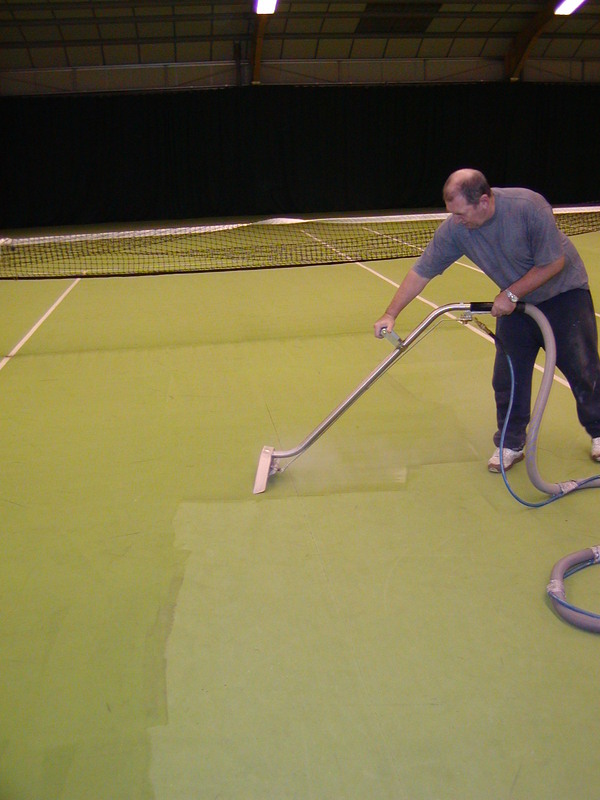 Cleaning indoor tennis court surface.